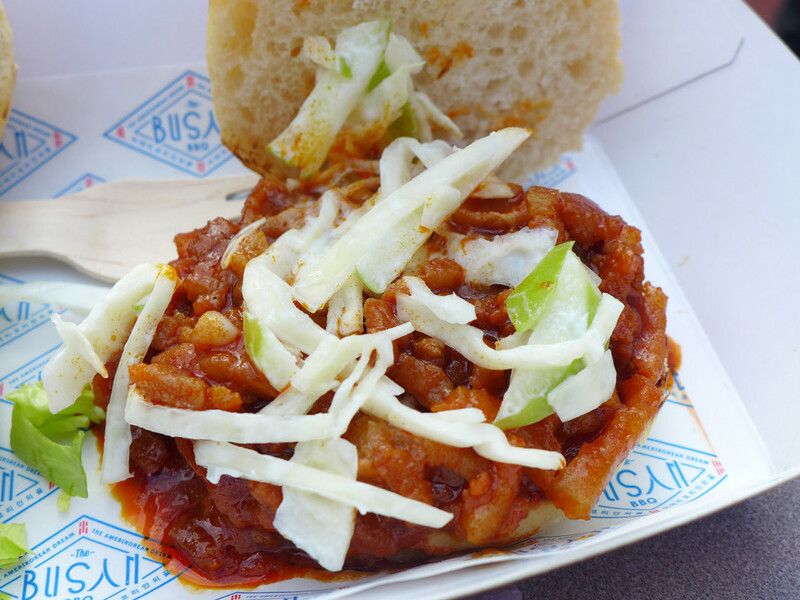 Dinerama – a London street food event happening Thursday to Saturday, has risen from the ashes. 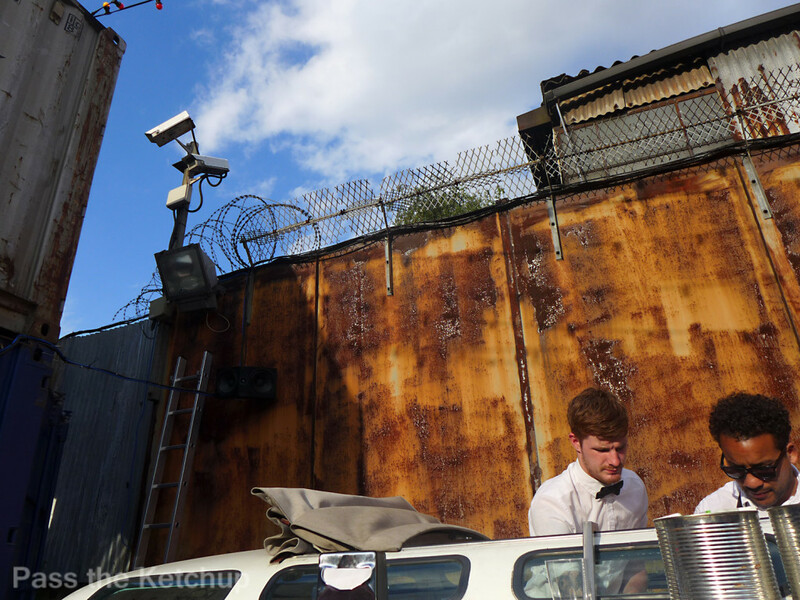 Let me preface this post by saying that I have a love-hate relationship with Shoreditch. I am usually bewildered by the insane popularity of Shoreditch. It is awkwardly located transport-wise & is overflowing with hipsters (I get that this is a plus for some readers). 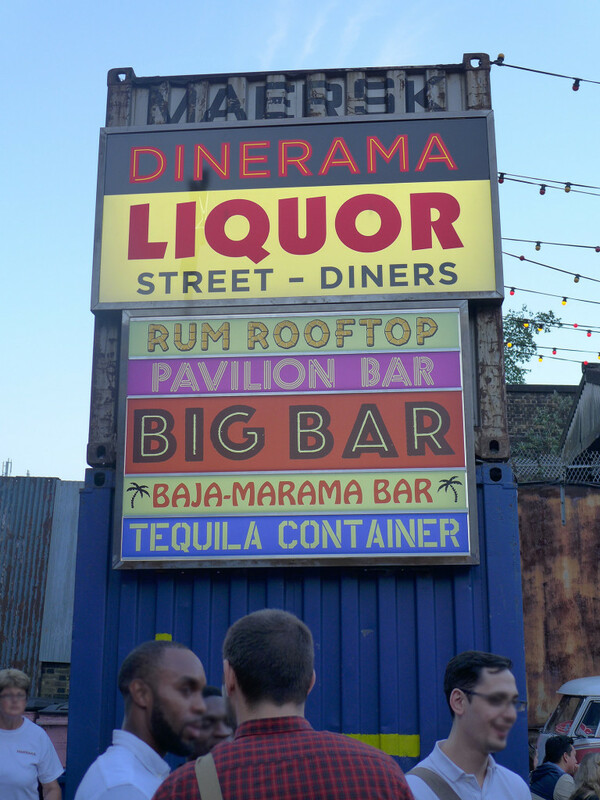 However, there is no denying that Shoreditch is home to some pretty awesome events, one of which is Dinerama. 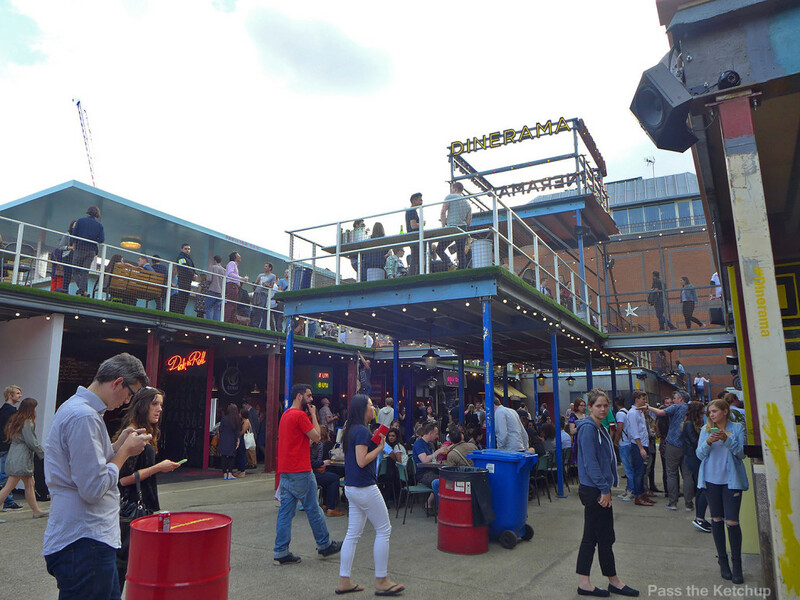 Dinerama is a street food pop-up with built in diners, serving everything from lobster rolls to Japanese style gyoza dumplings. 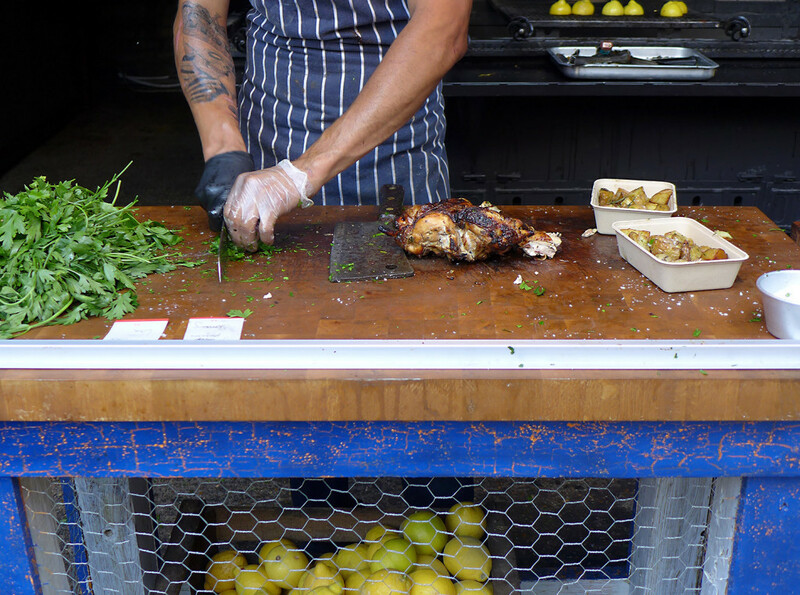 Dinerama is owned by Street Feast, the same people who run Model Market in Lewisham and Dalston Yard in Dalston. 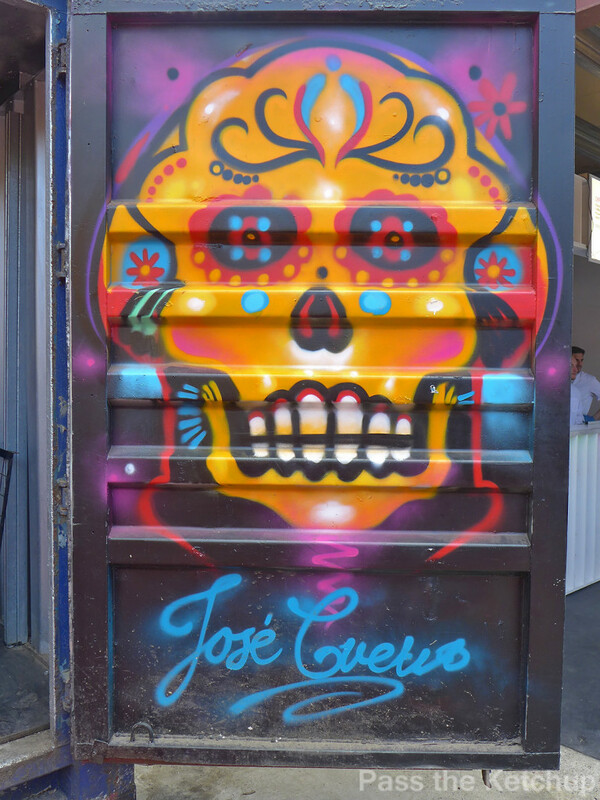 I was able to visit Shoreditch Yard when Dinerama opened at the beginning of the summer. Sadly they then suffered a massive fire that destroyed most of the venue and they had to temporarily close. 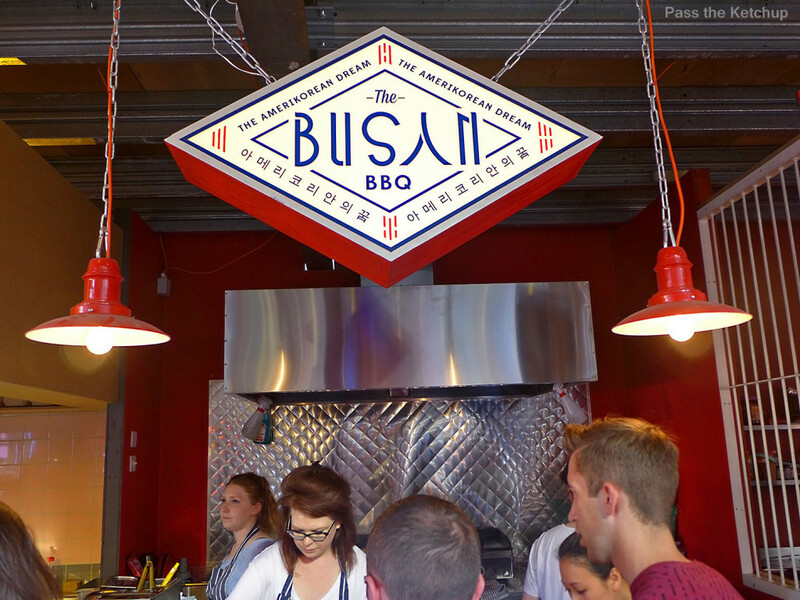 Since I didn’t want to send you all to a burned down venue – you guys like your food BBQ’d not your restaurants – I decided to wait until they re-opened. 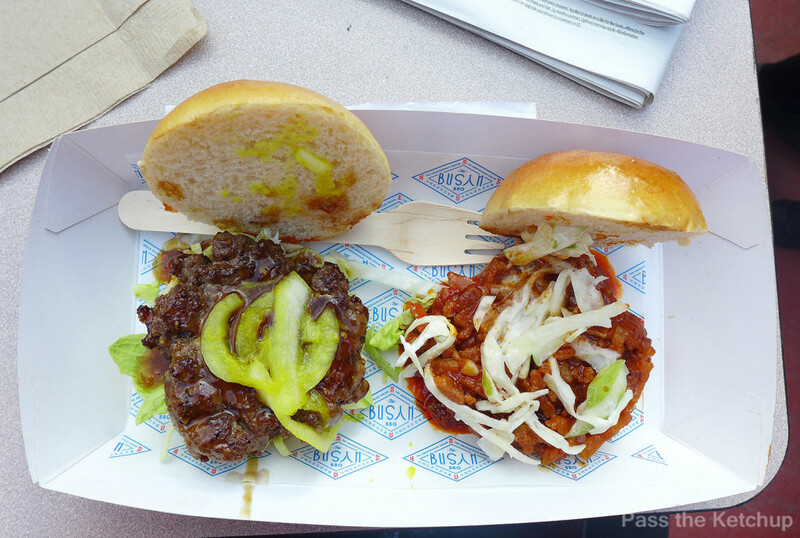 An Amerikorean (American-Korean) fusion pop-up serving burgers or sliders with a Korean twist. 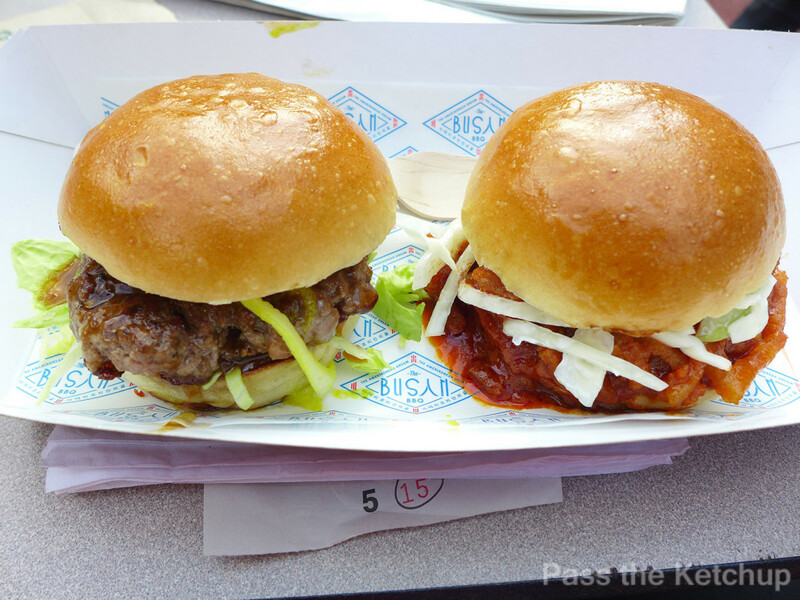 They offer two options; the Busan Burger or the Pork Belly Bun. My indecisiveness (and greed) meant that I went for 2-slider combo, that gives you both flavours. 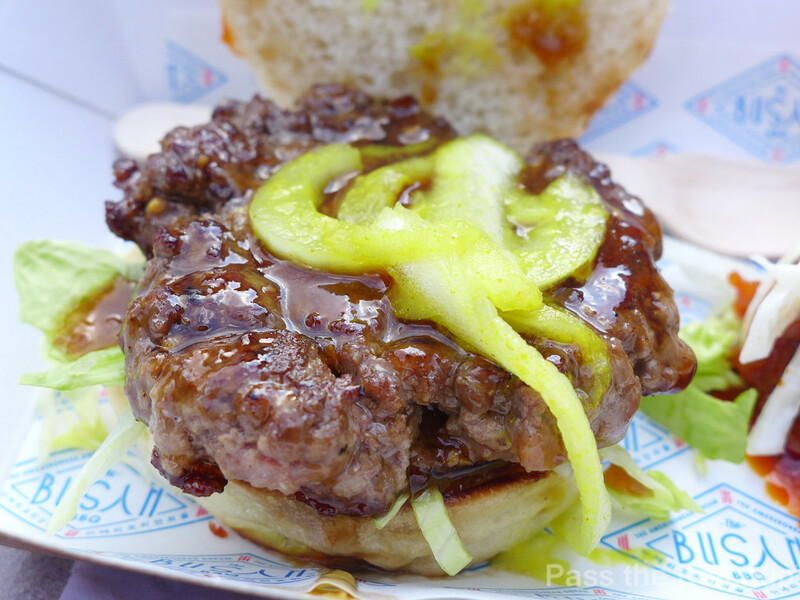 Busan use 28-day aged rare beef for their beef burgers. 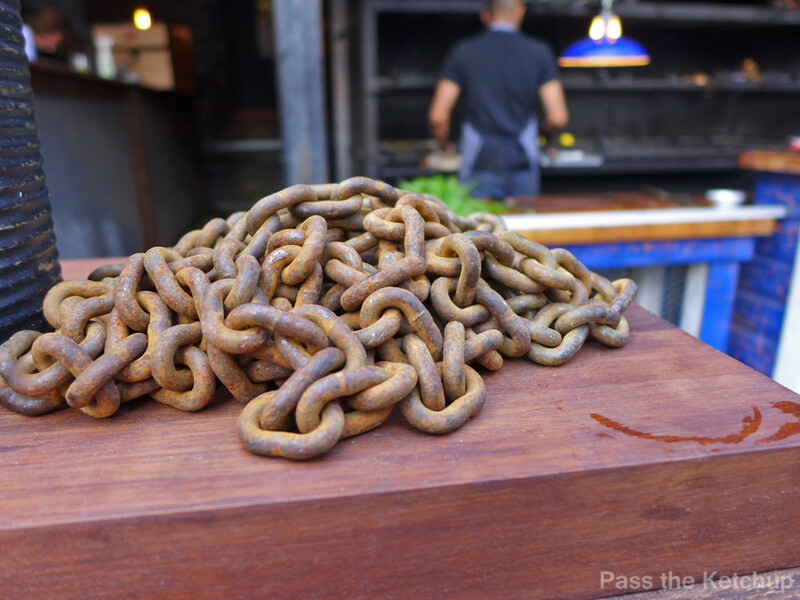 They pair this with a tasty bulgogi sauce, which you will enjoy if you like the savoury-sweet flavour of teriyaki sauce. It is similar to teriyaki sauce but less sweet. I love anything pickled, but did find it difficult to taste those mustard pickled onions against the bulgogi sauce. Next up, I tried the Pork Belly Bun, which was my favourite of the two. 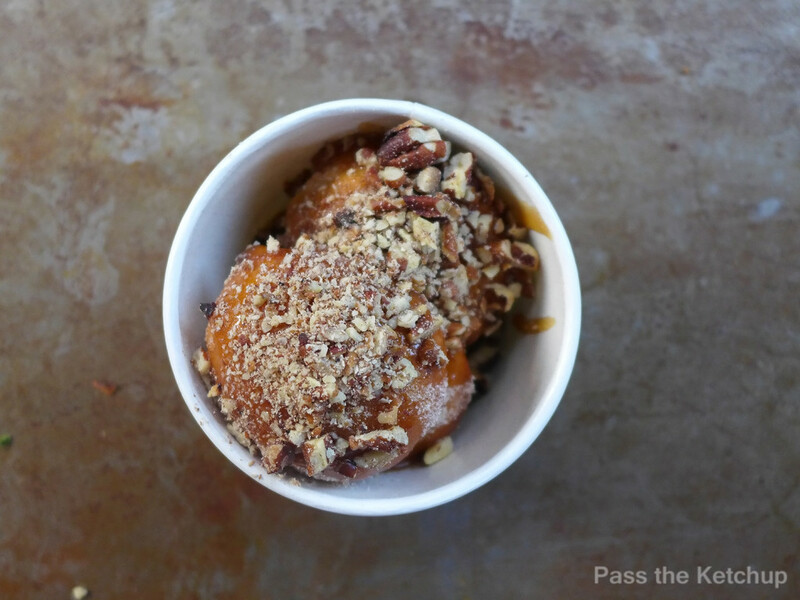 The sauce was rich, spicy and tangy – almost like a Louisiana BBQ sauce. The meat and the brioche bun were extremely soft. A crunchy yoghurt-based apple & cabbage coleslaw added a contrast in texture, while simultaneously cutting through the richness of the spicy sauce. 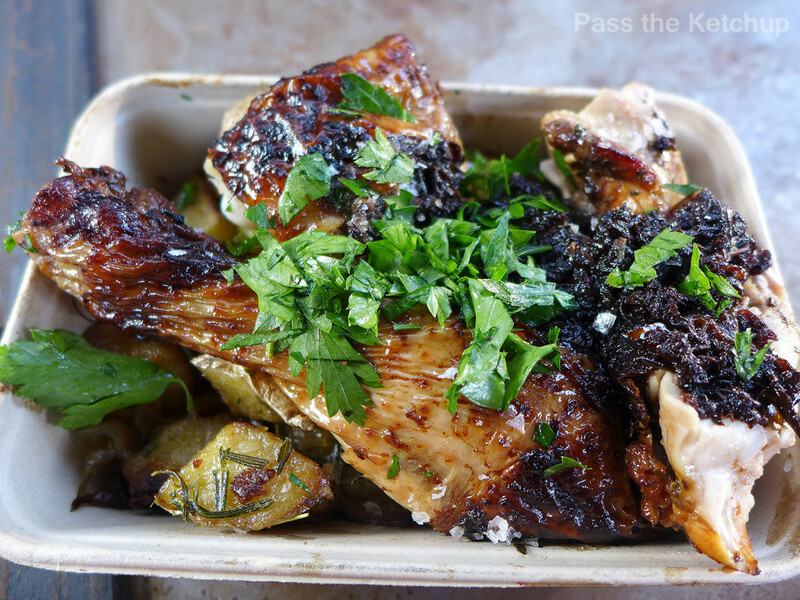 BirdBox serve up beautifully cooked chicken, that has been seasoned with tons of herbs and zesty lemon. 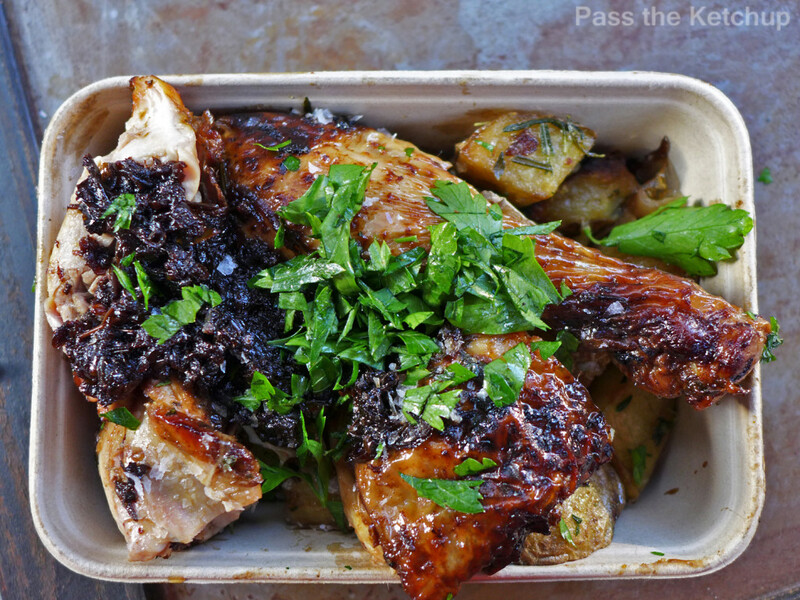 You can buy a side of garlicky roasted potatoes to go with your bird. The potatoes were crispy on the outside and soft and fluffy on the inside. 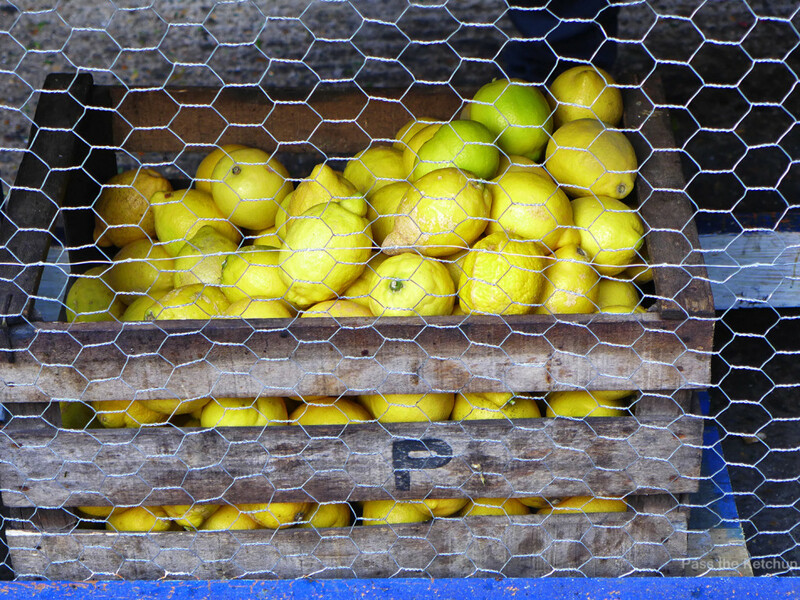 An array of herbs and onions are used to season the chicken. These were slightly charred from the rotisserie and added a wonderful smoky and sweet flavour. 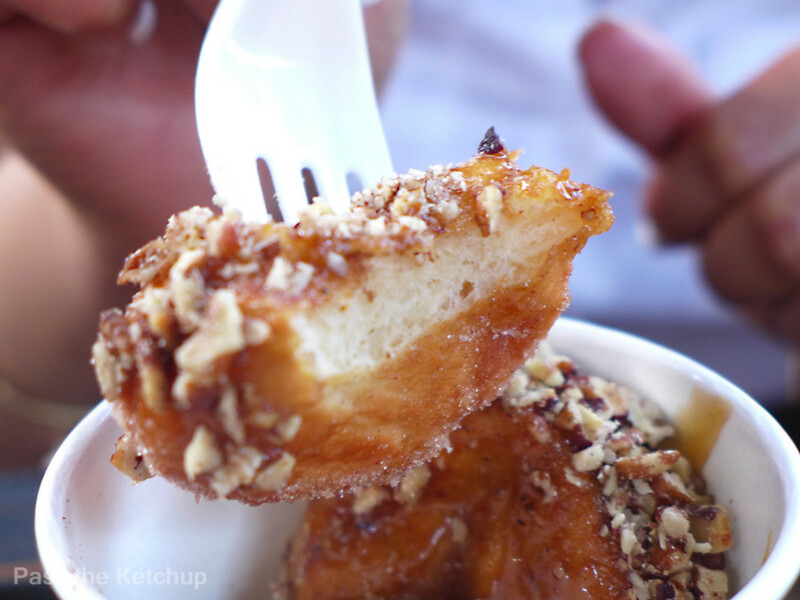 It’s a super filling dish, that can be washed down with a delicious cocktail from Dinerama’s bar area. 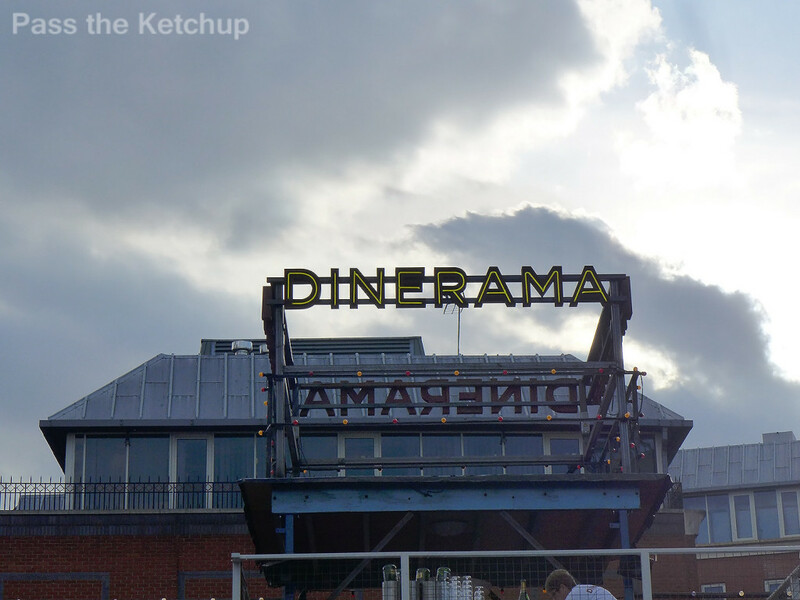 Overall, Dinerama is fun place to visit for a few hours. 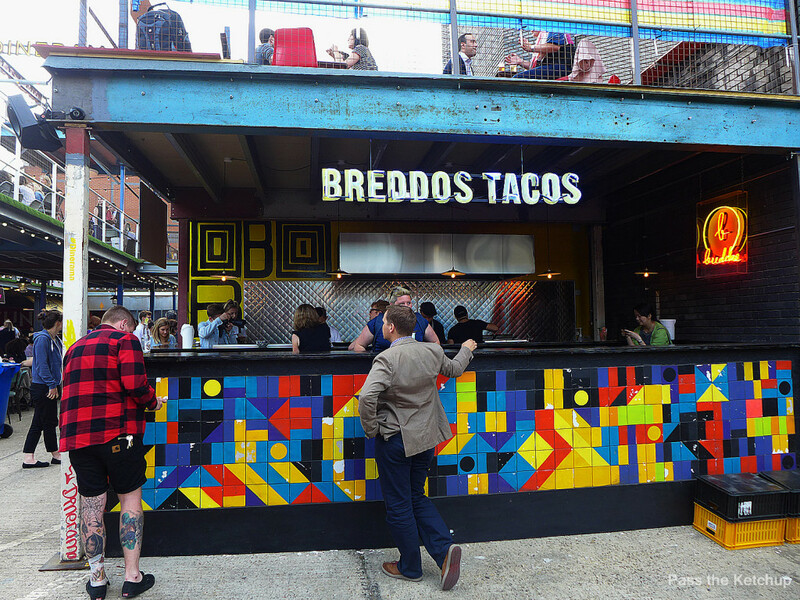 Should I have a chance to head back before they close for the summer, I would love to try Breddos Tacos and Smokestack. 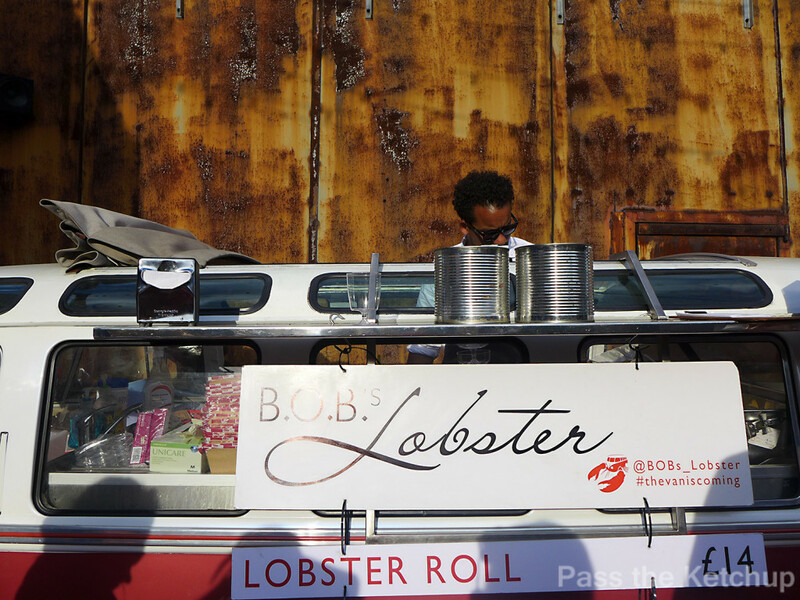 Not only were those stalls popular, the food looked fantastic! Dinerma does get quite busy after 7pm during the week and I imagine it must be heaving during weekends. If you can, get there early. A friend and I got there around 6pm on a Friday and managed to nab seats at a table. For those that are able to visit during the daytime on a week day, you’ll likely avoid the long queues. 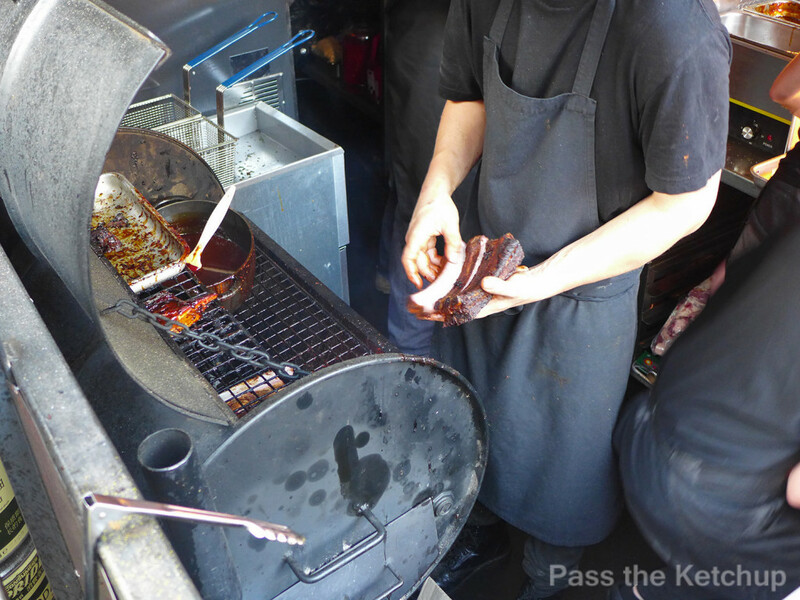 Previous Article← Mishkins: The Best Salt Beef Sandwiches in London?